Membership in a Unitarian Universalist congregation is both simple and challenging. 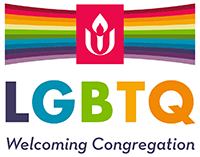 It is easy to sign the Membership Card but it is also challenging because of what this simple act means: that you have made a decision to join a Unitarian Universalist faith community that is searching for truth, working for justice, and whose members seek to live in loving relationship with one another. The Unitarian Universalist Fellowship of Northern Nevada (UUFNN) welcomes members who desire to participate in religious community and who are willing to give freely of their time, talents and financial resources toward the fulfillment of our congregation’s mission. As UUFNN members, we support the Fellowship’s mission because this congregation is our chosen spiritual home. Our Vision: We are a beloved faith community bending the arc of the universe toward justice. Membership means being part of a fellowship made up of kindred spirits, who all feel safe, welcome, respected and in covenant with one another. A covenant is a promise to stand together with other members of the Fellowship in a relationship of mutual respect and support. Agreeing to covenant, means taking one’s own personal religious journey seriously and working with others in commitment and community toward a common vision. Unitarian Universalists practice congregational polity which means each congregation is self-governing and self-sustaining. Each member freely and thoughtfully supports the Fellowship. Only members may vote to approve the annual budget, to elect the Board of Trustees, and to call a minister. UUFNN also welcomes the voice of active participants (friends) at all services, events, and congregational meetings. Friends have not chosen membership and cannot vote. Attend Sunday services to get to know our community. Attend the series of three “A Chosen Faith” classes. These classes help newcomers determine whether Unitarian Universalism is right for them. Complete a New Member Information Sheet at a final meeting with “A Chosen Faith” and the minister of UUFNN. Sign a UUFNN Membership Card. Make a pledge of ongoing financial support based on individual circumstances. Guidelines are available and discussion with the minister is encouraged..
New members are invited to a New Member Ceremony during a Sunday service where they are recognized and welcomed by the Fellowship. Journey with Us! Although the members of our community may have begun their spiritual journeys in very different places, each has found their religious home at the Unitarian Universalist Fellowship of Northern Nevada.